On Wednesday morning, Gatorade surprised Ellie Holzman with its National Volleyball Player of the Year award. The honor serves as the cherry on top of an incredible prep career for Holzman at Mount Carmel Academy in New Orleans, Louisiana, and with the club Adidas WD Nation. Holzman’s reputation preceded her arrival to Mount Carmel, an all-girls, private, Catholic high school in the Lakeview neighborhood of New Orleans. Heading into the 2014 school year, people kept telling head volleyball coach April Hagadone about this eighth grade volleyball player who was going to be a star, so on the first day of school, Hagadone scanned the PE rosters and made sure to be in the gym during Holzman’s period. Hagadone could immediately pick the six-foot-tall eighth grader out of the crowd, but the coach, then in her third year at Mount Carmel, had no way of knowing the shy girl she met that day would be the key to four more state championships for the decorated Cubs volleyball program. In each of her four seasons on varsity at Mount Carmel, Holzman won a state title and earned all-state honors — the only player in program history to accomplish either of those feats. She’s collected three consecutive Louisiana State Gatorade POY awards and three Division I Louisiana State Championship MVP honors. Last summer, she earned MVP honors at AAU Nationals after leading her WD Nation team to the 17 Open title. 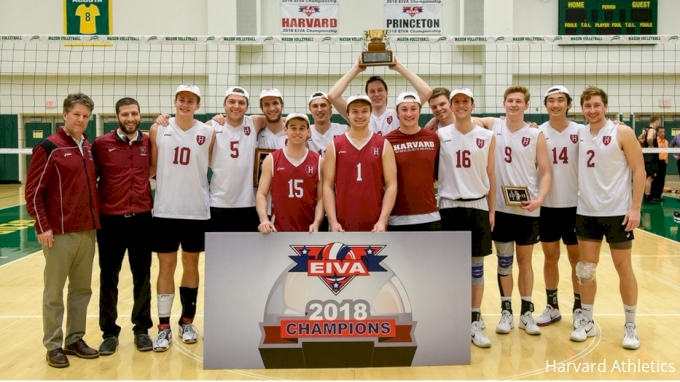 Holzman entered high school as a middle blocker, but Hagadone soon realized the more involved they could get Holzman to be, the more matches Mount Carmel could win. So the coach sought out freshman Holzman one day at lunch to ask her if she’d be willing to give the outside hitter position a go. At first, Holzman still only played three rotations, but by the time she was a sophomore, she stayed in the entire match and was a key offensive outlet from the back row. Despite being the top high school volleyball player in the state of Louisiana for at least three years, Holzman hasn’t garnered the same amount of national attention received by Gatorade’s national volleyball POY winners of recent years. Holzman was the MaxPrep’s National Sophomore of the Year in 2016, but as a senior only ranked No. 36 in the class by PrepVolleyball and was included on the AVCA All-America third team. Comparatively, the previous two Gatorade National POYs (Thayer Hall and Lexi Sun) were almost unanimously considered the top recruits in their graduating class. One person who is delighted the 6-2 outside hitter has flown mostly under the national radar until now is University of Illinois head women’s volleyball coach Chris Tamas. Most top Division I volleyball programs start recruiting players as seventh and eighth graders, but when Tamas took over in Champaign in February of 2017, they didn’t have much in the pipeline. So when he went out on his first few recruiting trips, he had his eye on sophomores and juniors. He saw Holzman, then a sophomore, for the first time at a club tournament in Atlanta, and she commanded his attention with how hard she hit the ball. Holzman went on a recruiting visit to Illinois and made her verbal commitment in March 2017 just a little over a month after her initial conversation with Tamas. She was Tamas’ first commit as a head coach. Peep his reaction to her commitment, as expressed on Twitter below. Two years later, Holzman is just months away from joining Tamas and his Fighting Illini in Champaign as a member of Tamas’ first full recruiting class. In addition to her lethal arm, Tamas is confident Holzman will bring other desirable qualities to the team as well. It’s those attributes — leaderships, work ethic, competitiveness — that resist quantification and therefore won’t necessarily get you named the top recruit in the class or First Team All-America. But they are the things that lead to national championships down the road, and no doubt that’s exactly what Tamas has in mind. As a result of earning the national volleyball award, Holzman is now a finalist for the Gatorade Female High School Athlete of the Year award, which will be presented in a ceremony prior to the 2019 ESPYs.